Aerodynamic principles that make flight possible were little known or barely understood as recently as one hundred years ago. Although their roots can be found in the fluid dynamics of ancient Greek science, it was not until the scientific breakthroughs at the beginning of the twentieth century that it became possible to design successful flying machines. This book presents the history of aerodynamics, intertwined with a review of the aircraft that were developed as technology advanced. 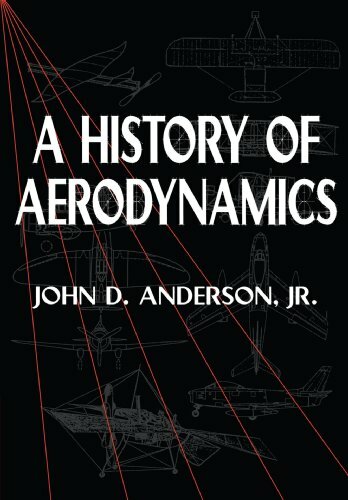 Beginning with the scientific theories and experiments of Aristotle and Archimedes, the book continues through the applied and theoretical aerodynamics in the early 1900s, and concludes with modern hypersonic and computational aerodynamics. Students, fluid dynamicists, aeronautical engineers, and historians of technology will find this book a thoroughly engrossing account of the role of aerodynamics in the development of science and technology in this century.